Damn Rayman, T3, the best GTA and RR Type 4? This lineup is much better than I had expected. I don’t know if I’ll buy it but it is way more tempting than the Nintendo minis. I didn’t have high hopes for it when I saw the non analog controllers. Twisted Metal and Destruction Derby should be swapped out with the sequels which are way better games. Battle Arena Toshinden? Rainbow Six? MR DRILLER?? Are people asking for these? Dual Shock controllers and Ape Escape would have been nice, and I know they fall under different ownership now but Crash and Spyro not being on there is a real shame. Also Silent Hill is missing. Not a big deal, but definitely not a list of 20 games I would buy a tiny playstation for. So far I’m the only one to whip up an alternative. There are endless permutations (I could probably have swapped in Tomb Raider 2)…what 20 would you have included? My list, after a bit of thought and pretending dual shock is on the table. I know things are available through remasters and other systems but if we’re talking definitive list for the system, here’s what I would go with. I know a few aren’t even all that good but we all have those games that we recall fondly. I wouldn’t buy it but, of all the games I loved with the PSX barely none are there. Also Silent Hill is missing. Completely forgot Silent Hill! Although to be fair when I played a fan port on the PC years ago I‘ve quit when I reached the school. Too spooky, mate. 2 - Spoo - Key! First few times I played through I had the audio run through a stereo with an a/v aux port, so headphones in a dark room. That experience sticks with you. am i the only one thinking 60$ is still a pretty big ask for that hunk of plastic? Nope, I think so too, especially when there’s hardly anything on there that I want to actually play. I am not buying, but just jogging memories/thoughts for anyone who may have wanted to but felt it was too expensive. That’s kind of tempting. I’m probably gonna wait and pick up one used though. I still think the lineup is good and I really want those controllers. I’m a big fan of PS and PS2 game generation, so I honestly thought PS Classic is a must-have retro console. Instead, it only invokes the worst in me. 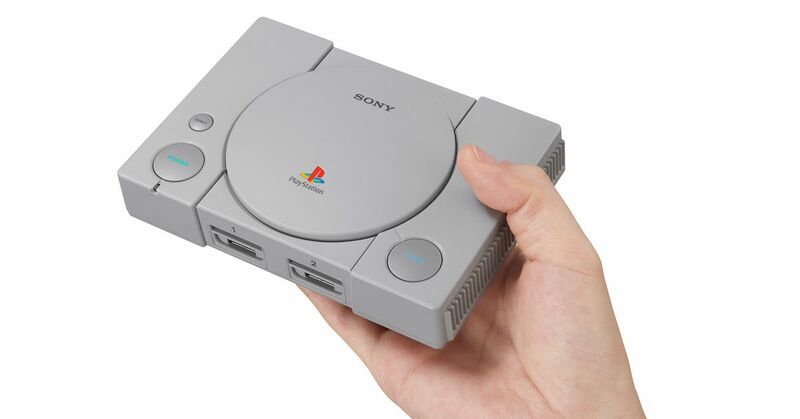 There are no plans to bring new content or updates to PlayStation Classic post-launch. I just… hate it. PS and PS2 were all about creative freedom, exploration, pushing the technological limits. This one is twisted in its nature; it’s like an evil twin. Oh look, it’s got a similar design! It’s got the same launch sound! It asks you to change discs, just like the first one did! But the concept is wicked, and the games list is not really worth it. I’d better plug in my PS2. It’s not perfect, but I’ve had a nice Chrono Cross rerun recently on a big plazma TV. My point is, it’s not that hard to find PS and PS2 games, many people still sell them, some shops even have a special section. The consoles themselves are also still available; PS2 actually costs less than this new “Classic” thing. The purpose of this retro console, the media attention (even negative attention counts! ), the reasons to buy this… I don’t get it at all. It’s 100% anti fun console to me. If that were the only problems with the device, either Nintendo’s wouldn’t sell at all or the PSC would have done fine. The real reason why it’s some hot garbage is the fact that it’s a rushed product with basic oversights at every level. The idea that someone would willingly ship a copy of Tekken 3’s PAL version honestly fills me with confused rage. Best thing to come out from this. If you look hard enough you can probably still pick up a psone and lcd for about the same amount. I’ve had a few and they were great. Gave one to a friend and sold another, need to look into getting a third. I would go that route before buying a classic. A raspberry pi is probably your best bet. It’s a shame… great retro machines, ones that are actually worth having instead of being relics for collectors, would easily sell enough to be justified. Even for collectors though, PSC just misses every mark. In the era of digital distribution and modern hardware with well developed emulators, you would think that somebody would have the foresight to do it right. Only Microsoft has made any kind of compelling retro library, and they have far less history than their competitors. Nintendo gets an A for effort, but there’s so much more I want to see in the preservation department.